Dr. Mazzarella is a general practitioner providing individual, couples, and group psychotherapy with adolescents and adults. He has extensive experience treating people with mood and anxiety disorders, trauma and abuse histories, self-esteem issues, spiritual concerns, academic struggles and parenting issues. Dr. Mazzarella uses a warm relational approach to therapy. 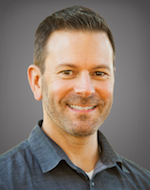 He draws upon client strengths and values while guided by empirically supported treatments. He also uses Eye Movement Desensitization & Reprocessing (EMDR) to facilitate healing and promote enhancement for a variety of presenting problems. Dr. Mazzarella is a Certified Group Psychotherapist (CGP) and is also Certified in Primary Care Behavioral Health through the University of Massachusetts (UMass). He has appeared on Sports Illustrated Now as a commentator on the psychology of sports. Dr. Mazzarella is the Director of HPA Wheaton. Dr. Mazzarella enjoys speaking to local schools, churches, and community groups on a variety of mental health topics. He provides individual supervision for advanced doctoral students, post-docs, and group supervision for group psychotherapists at Heritage.